Stayne and a Raven. 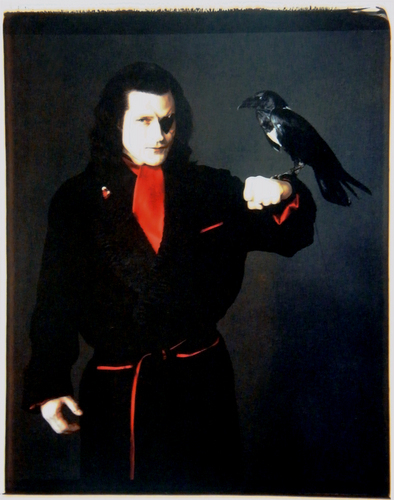 'A new' image of Stayne with a suiting Raven found in the Alice in Wonderland A Visual Companion.. HD Wallpaper and background images in the Alice ở Xứ sở thần tiên (2010) club tagged: alice in wonderland ilosovich stayne crispin glover raven. That robe makes him look like a Gothic Hugh Hefner. OH. MY. GOD. THIS. IS. AWESOME.